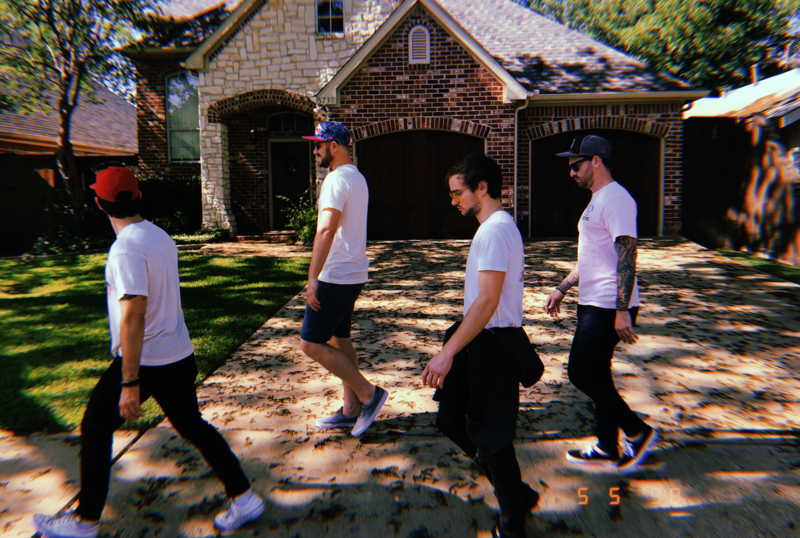 While they may hail from Texas, no group is more down with Parisian culture than alt-rock four-piece, Swimming With Bears. 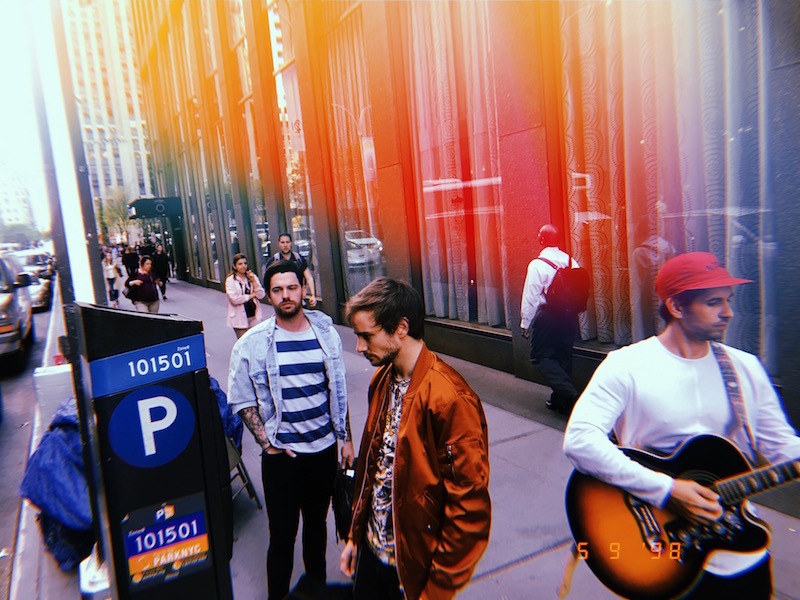 Since their infectious track "French Girls" dropped earlier this year, we've found ourselves channeling our inner Brigitte Bardot every time it surfaces on our "2018 Gems" playlist. If you have yet to do so, give this bouncy summer jam a whirl below. 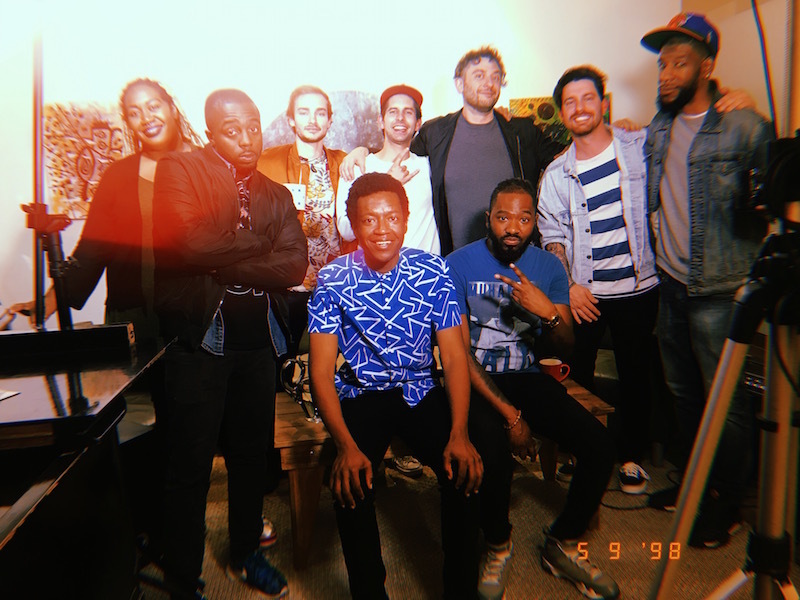 In support of their new tunes (they dropped their second single "Take It Easy" in May), the quartet hit the road with for a 14 date run across the US. 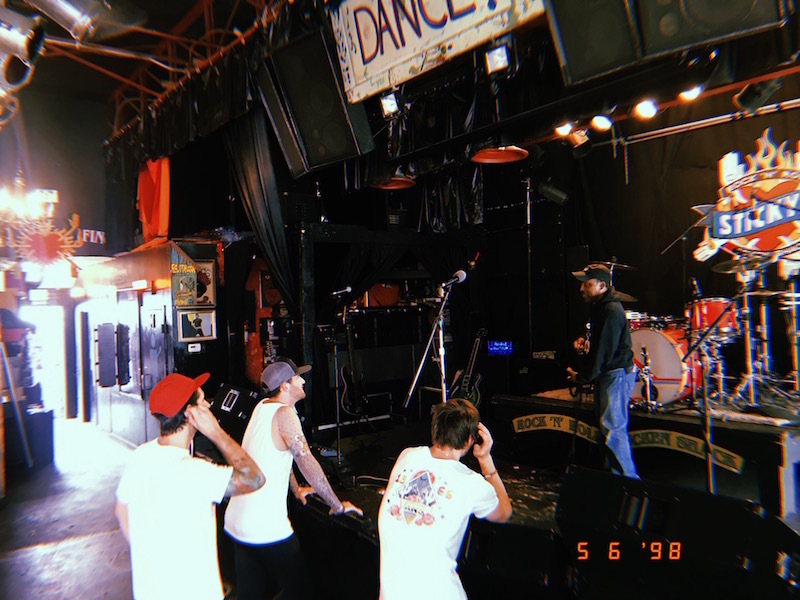 Since kicking off in Dallas on May 4th, the band—Joe Perry (vocals/bass), Alec Conte (guitar), Jon Kerr (guitar), and Ryan Hannasch (drums)—rolled through cities like Nashville, NYC, Baltimore, and Boston with fellow Texans, The Cuckoos. Their final stop on the tour will take place tonight in Birmingham. 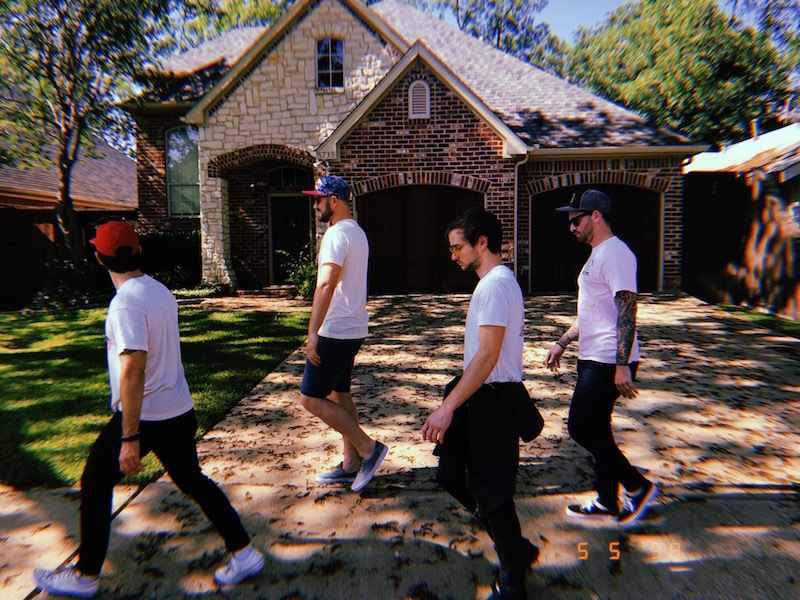 We caught up with Swimming with Bears to see how life on the road has been treating them thus far—turns out, it's pretty fabulous. Chilling riverside? Check. Visiting the Popdust office? Yep. Exploring the best haunts that Arkansas has to offer? Yes sir. 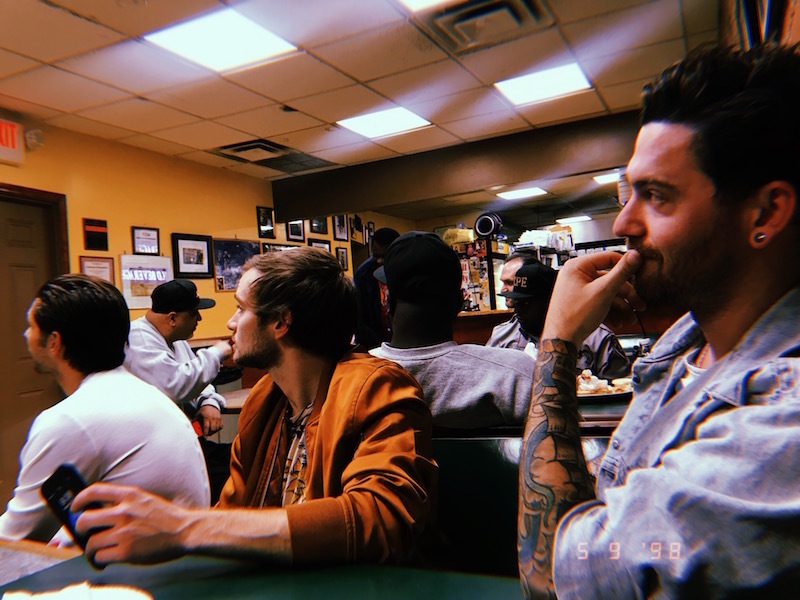 Peep their Tour Diary below, then make sure to Track them on Bandsintown! We set off for tour today and it started off on a damn good foot. 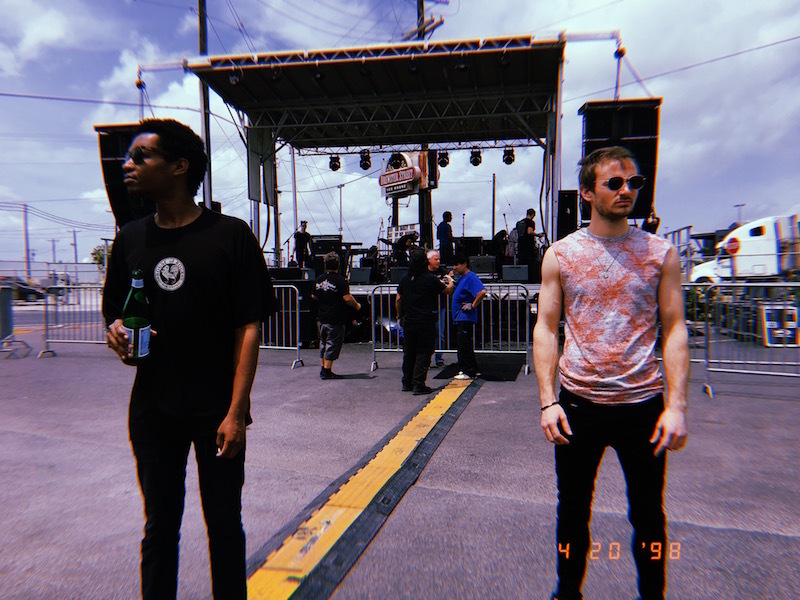 We opened up for The Wailers on 4/20. It was dope. 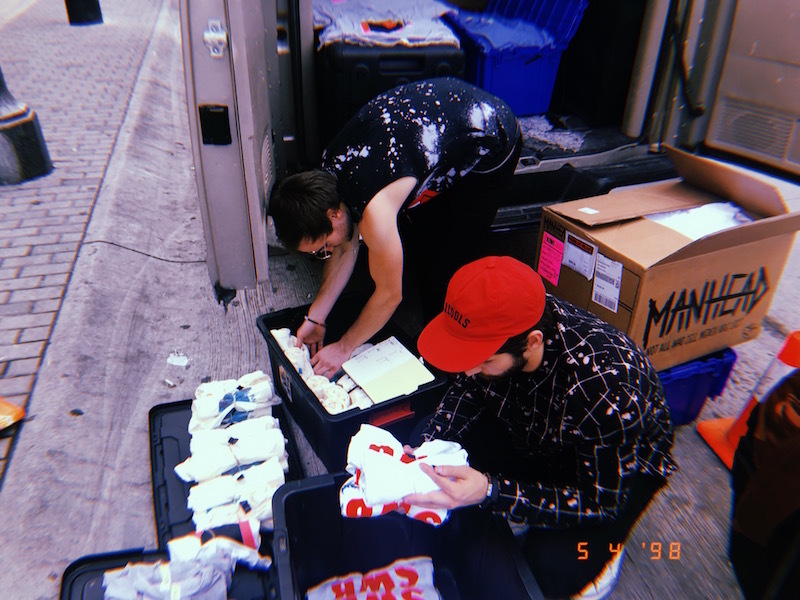 It was quickly realized that we were going to need to be more organized with our merch and our van-packing strategy on our tour with The Cuckoos. No worries though, Alec (guitar) and Ryan (drums) were on the case. 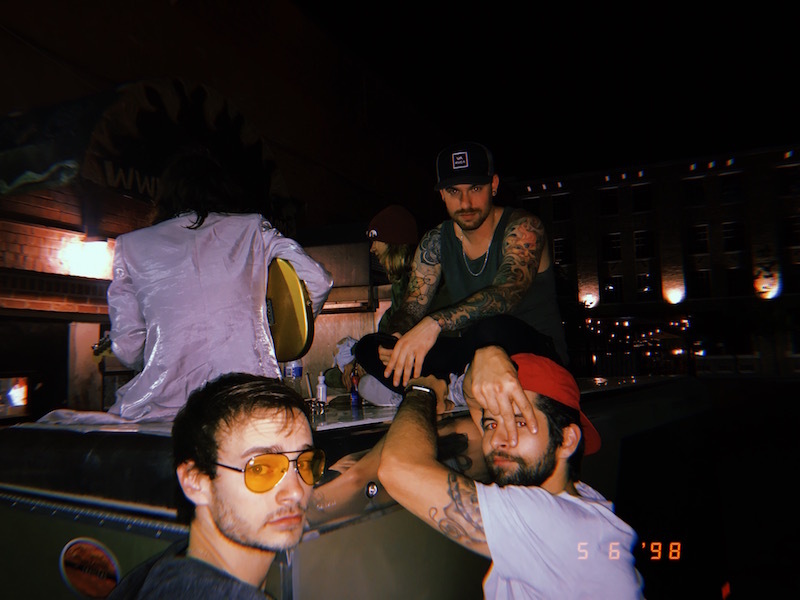 After the first string of shows and making our way through Texas with The Cuckoos, we took some to join them in their "post-show trailer roof-sitting" rituals. It’s actually quite nice. Today we got to meet up with some of our oldest friends, and they showed us the ropes of their neighborhood bars and restaurants. They knew their stuff. 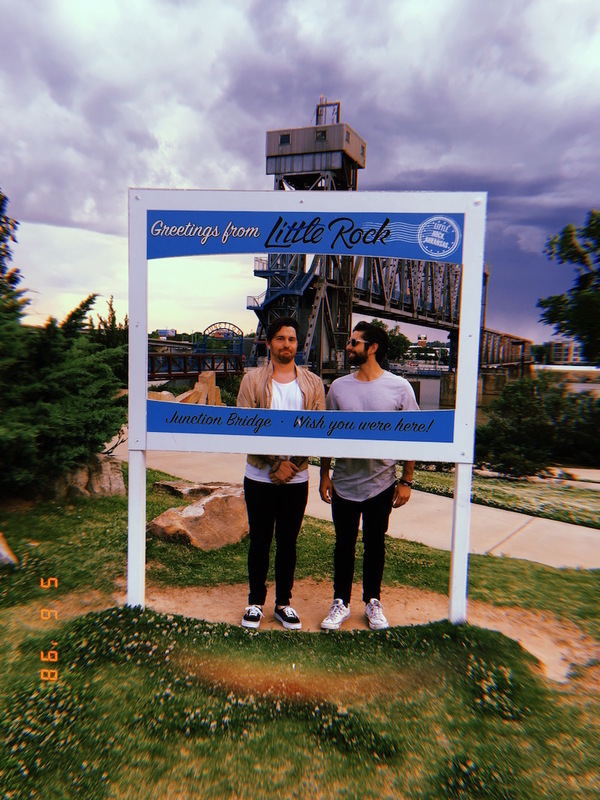 We weren’t too sure about Arkansas during the drive to Little Rock, but you know what? After arriving, the local history and art had charmed us. Arkansas is absolutely beautiful and full of stories. 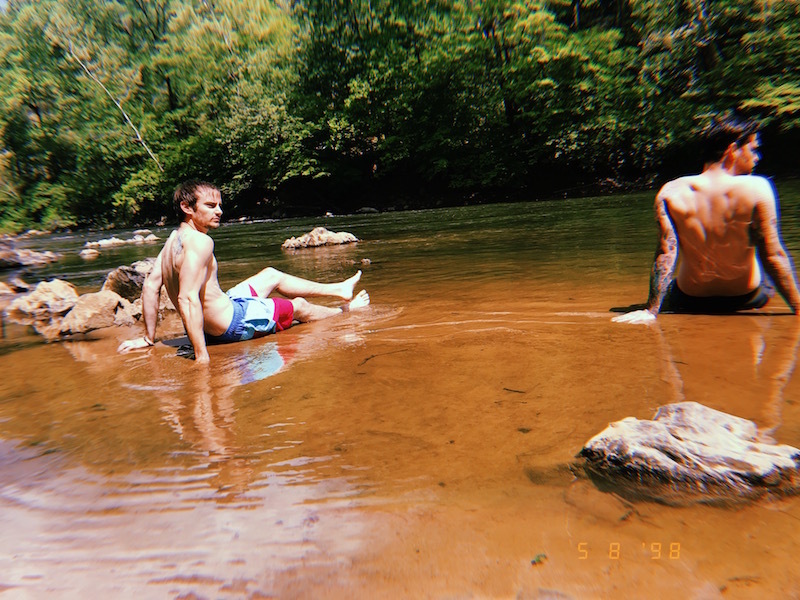 Rules for tour: If you see a river, jump in it. We are back! Tennessee! One of our favorite states. Nashville feels like home to us. 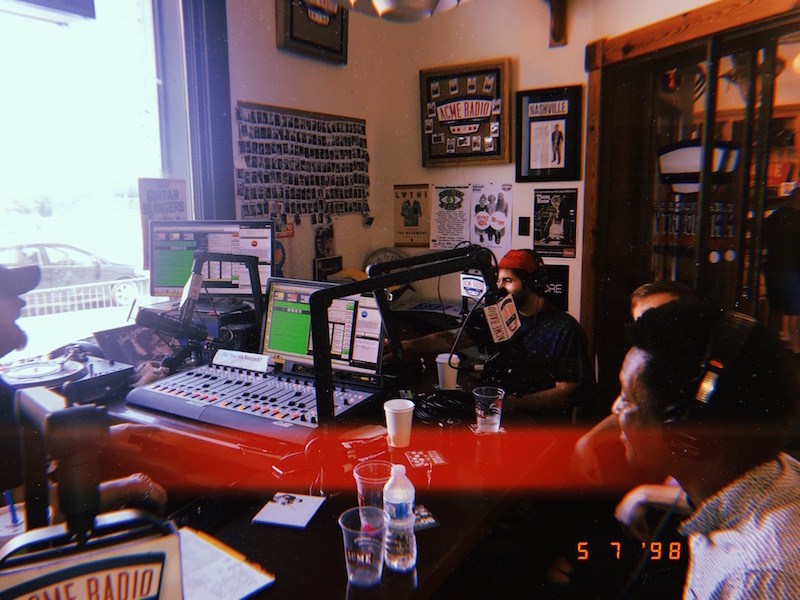 One day we will move here, but today, we are on ACME Radio Live. Tim is an amazing host and we had such a great time! We’re baaaaaack at it! We wish to thank the beautiful people at PopDust for having us on their show to talk about life and play some music. Rules for tour: If you see a family pizza shop in New Jersey, stop there and soak in their history. Family is family. When you’re touring, missing family is a daily thing, but when someone lets you into their life, you soak up that family love like they are your own. New York City is wild. There are SO MANY people here. Alec doesn’t seem to care, he just wants to play guitar for all the pretty people. 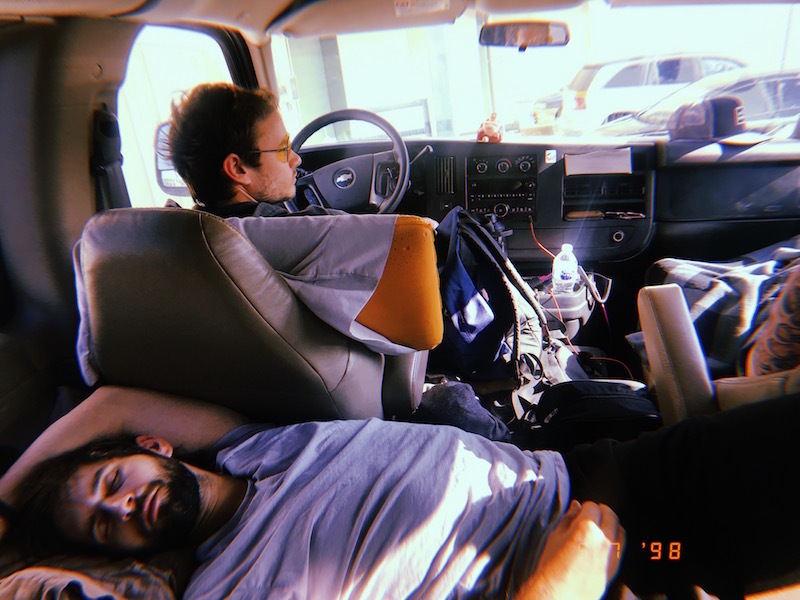 Rules for tour: When you have down time, SLEEP. You will need it. You meet some amazing people on tour. Every day is full of blessings and stories to learn. Your sound engineer at the venues you're playing have met more bands than you’d believe. Listen to these men and women. 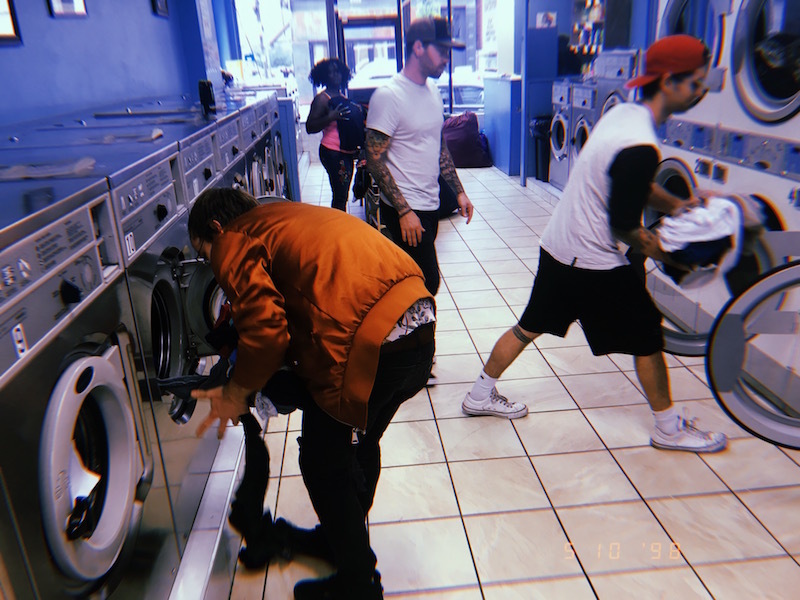 When its all said and done, you still have to come back down to earth and do your laundry. Clean clothes mean you don’t smell like dirty socks.